In the year 1859 the Statue of Freedom’s plaster model faced being broken unless a construction puzzle was solved. Philip Reid, a skilled and enslaved African American stepped forward and solved the puzzle. In 1863, the Statue of Freedom was lifted to the top of the Capitol. Very interesting book! Had never heard this before and it was wonderful to learn about this amazing man! 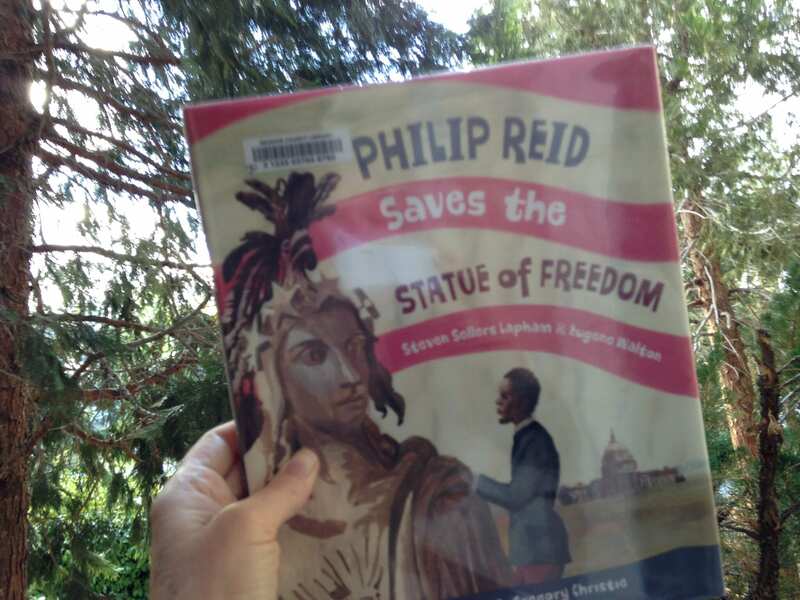 This entry was posted in Book Reviews and tagged book about the statue of freedom, library lovers, philip reid saves the statue of freedom book, we love books, we love reading by Camilla. Bookmark the permalink.